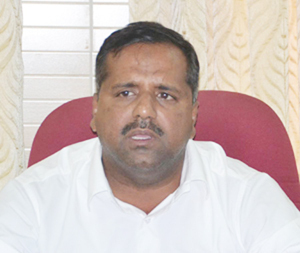 Bengaluru, Dec 10, 2015: A case wherein the name of State Health Minister UT Khader was misused by a youth from Bengaluru who was arrested by the Upparapete Police in connection with a case of drunken driving, was reported recently. As per reports, the youth who was apprehended by the police told the latter that he was the nephew of the Health Minister. It is said without ascertaining the facts, the police had revealed this to the media. The Minister who was in Dubai, on gathering information about this immediately intimated that he had no nephew in Bengaluru and his nephew was studying at St. Aloysius College in Mangaluru. The Minister also said there was a need to take action against those for providing misleading information. Some time back, a morphed photo showing Khader with a girl bedecked in jewels with a caption that it was the costliest wedding of the minister’s daughter had made rounds. A police complaint was filed in this regard later on. Khader had then clarified that his only daughter was studying and was staying in a hostel. How does a guy in Bangalore know you and put a blame on you alone?Very funny. Usually the politicians play tricks but this time a public fooling them.